The process of wedding preparation is a very personal thing. One can give a hundred ideas of how to arrange your reception the best, but in the end you will find out that just a few of them are applicable. And this happens not because this someone is unqualified and ignorant, but rather out of the conditions and your own desires. What seems to be appealing to one couple might be totally rejected by another one. So the most suitable way is to follow your intuition and make your own decisions. However, there are still some general and basic points to keep in mind when you are arranging a wedding reception. Scroll down to find out the most important Don’ts of any preparation process. First, of all, never plan your budget too tight. It is impossible to foresee every single step and expense beforehand, so be prepared for some additional inputs. If you feel that your financial capabilities are limited, it is better to give up on something rather than end up in a situation where you might not be able to pay the bill. Also, never ever arrange a cash bar – your guests should not pay for anything. It is better to provide a modest choice of drinks or beverages than to not provide it at all. Do not leave any part of your plan for the last minute. You never know what you might face with during the last hours/days of the preparation, so it makes sense to put some additional time aside, just in case. Even if you manage to complete all the steps and tasks on time, it will be still nice to have a couple of hours of a rest before the big day. Do not get too picky while trying to satisfy your guests. There is no way you can satisfy everyone with the level of your reception, so it is absolutely unreasonable to take into account every person’s preferences. You can surely provide some alternatives for the vegetarians and soft beverages for the non-drinking individuals. However, if you start to go for every single feature and specifics of the attendees, you may end up in a huge mess and miss out more important details. Do not purchase supplies exactly according to the number of invited people. You might have more guests over than you expected – in this case the situation will be quite nerve-racking for you as the hosts of the evening. It never hurts to have several bottles/boxes/packages left over – everything you buy is easily consumable anyway. Do not overreact in the social media. Posting a thousand of pictures while you are in the process of arranging your reception may sound fun and exciting to you, but I don’t think that your followers and friends will be grateful for such a flood on their timelines. Moreover, there is always a chance that someone from your surrounding – who is not invited – will get offended. Besides, you don’t want to give all your secrets and surprises away, do you? Make your wedding reception as exciting and memorable as possible – for this you need a certain amount of intrigue. 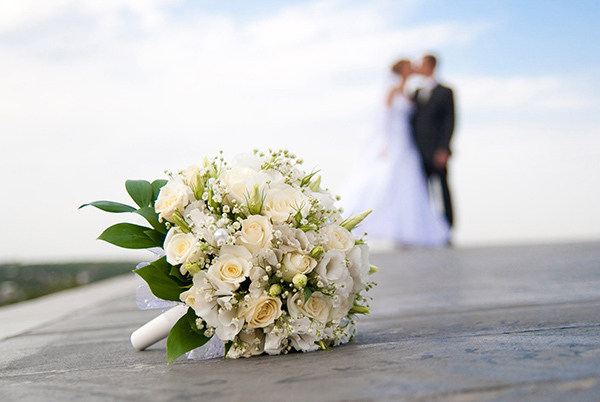 These were the key points to keep in mind and avoid, if you are in the process of your wedding arrangement.